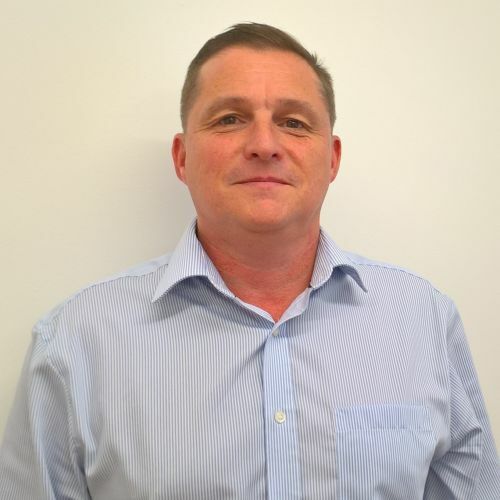 We would like to announce the arrival of Mark Hayes, our new HSQE Manager for both RJ Power Networks and RJ Power Connections. Over the next 6 months, Mark will be continuing to develop and implement RJ Power Networks’ Integrated Management System which covers the businesses approach to Health, Safety, Quality and Environment. During this period, Mark will be working with various members of the team to understand what and how things are done, to ensure that the system and processes successfully meet the needs of our growing Networks business. In addition, as RJ Power Connections continues to be developed, Mark will take on the management of their HSQE requirements too, working with RJ Power Group of Companies Head of HSQE, Chris Thomas and the compliance team to ensure that best practice is shared across each business. Over the past 34 years Mark has had varied experience throughout the construction and rail industries. His work career started as an apprentice carpenter with Wates Construction and he continued to work for them and other companies for around 6 years. He then worked for a diamond drilling company undertaking core drilling and floor and track sawing on construction sites. Following this Mark moved into the rail sector when he joined British Rail as a Contracts Inspector. Mark then decided to go back to college to gain his ONC and HNC in Civil Engineering. This enabled him to progress into rail engineering covering roles including an Assistant Resident Engineer, a Site Engineer and a Project Manager over a period of 6 years. In 2002 he was offered the opportunity to work as a Project Safety Manager for Network Rail based out of Croydon. Having had a taste for a safety role he developed an interest in taking this further in his career and he joined BCM Construction in October 2003 as their H&S Manager. During a fourteen year career with BCM Mark was involved in the creation of their Integrated Management System (IMS), managing their Network Rail Principal Contractors Licence, various ISO standards and their industry accreditations. As the company grew in size the HSQE team expanded into three HSQE Specialists and an Environmental Manager that were under his line management. During this time, Mark went back to college once more and gained his Nebosh Diploma in Occupational Health and Safety. “Having experienced working with RJ Power’s rail team whilst at BCM, I had the pleasure of getting to know some of the staff and members of their senior management team and felt that RJ Power Networks would be a company that I would like to work for. “Now having joined last week, I am looking forward to developing the work relationships across the group and to help RJ Power Networks’ grow and develop as a business.